It has happened to many Bangladeshi expatriates. Once the motherland is left behind there is no looking back. Some watch the Bangla news channels on a lazy Sunday morning just so as not to sound too ignorant when a fellow Bangladeshi makes a passing comment about some current political event. Others just couldn't care less. This is the impression most of us have of Bangladeshis residing abroad. This, as a matter of fact, couldn't be farther from the truth. There are thousands of Bangladeshi expats all over the world who are not only worried about the horrifying human rights situation in Bangladesh but also want to do something to bring about a change and feel helpless to do so from such a distance. This was the basic idea behind forming Drishtipat (www.drishtipat.org), an Internet-based activist organisation for expatriate Bangladeshis to help victims of human rights violations in Bangladesh. On January 25, 2001 the world was shocked when Tipu Sultan, a journalist from Feni was severely beaten up and left for dead by thugs of the ruling party's MP Jainal Hazari, for revealing Hazari's activities as a godfather of underworld gangs. 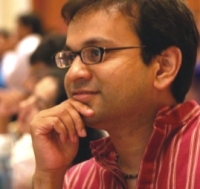 Asif Saleh (who later founded Drishtipat in April 2001) started a website to collect donations for Tipu Sultan's fund set up by Prothom Alo and Daily Star. "The response was amazing," says Saleh, who is also an Executive Director at Goldman Sachs, an investment bank in the UK, "Within three weeks I got funds of almost 15000 dollars from many different people all around the world. From there we thought of having a permanent organisation to offer concrete help to issues of human rights abuse. Because we were mainly internet driven, it was easy to attract a worldwide membership." Thus Drishtipat began its journey which now has 25 administrative team members (who are all volunteers) and over a thousand members worldwide and has managed to raise more than 100,000 dollars for different projects in over 5 years (all contributions were made by individual expatriates). Farjana Godhuly managed to raise more than 15,000 dollars for the victims and their families. After the general elections in 2001 when Hindu minorities were attacked in the worst yet case of religious oppression almost two hundred women were raped and hundreds of families were rendered homeless. Drishtipat launched a campaign under the title 'Cheye Dekho' where the organisation managed to raise 29,000 dollars by arranging cultural programmes in New York, San Francisco and Chicago. Drishtipat also helped Naeem Mohaiemen screen his documentary 'Muslims or Heretics' to raise awareness for the rights of the minority Ahmadiyya community. Another notable project of the organisation is a new section on its website called "Tales of inspiration from Bangladesh" featuring stories from rural areas of Bangladesh showing how the people there are fighting back against poverty and lack of opportunities in very creative and unique ways. 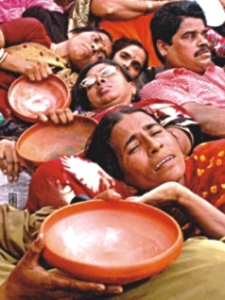 In the winter of 2003 a severe cold spell killed 79 people in Bangladesh. Drishtipat raised 8,900 dollars in a week to buy warm clothes for the poor. The following year Drishtipat helped SpandaanB and Volunteers Association of Bangladesh to collect funds for the flood victims. In November 2002 four journalists were arrested when they were making a documentary commissioned by the 'Unreported World' series for the independent British television channel, Channel 4. The journalists were denied access to lawyers, consular officials and family members. Drishtipat issued strong protests, petitions and regular updates to inform the whole world about the appalling human rights condition of the country. 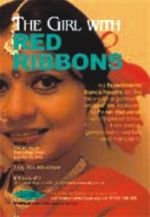 experimental dance drama "The Girl with Red Ribbons" based on a true story of a garments workers' life. lives in the rural areas by encouraging social entrepreneurship", he adds. But how effectively can they bring about a change in the human rights situation in a country, which is thousands of miles away? Saleh gives his realistic views on it. "To bring about an overall change we need change at the policy level. So unless there is a fundamental change in the policy level on how they view the rights issue, this won't change the overall situation. What Drishtipat aims to do is create a stronger voice of rationality worldwide among the Bangladeshis at home and in the Diaspora. We want to raise awareness on specific issues and help the grassroots organisation in capacity building and we aim to take the partisanship out of human rights issues. At the same time, we want to help make concrete contributions by providing financial help by helping some of these victims through income generating activities." Saleh, a Computer Science graduate with an MBA in Management and Marketing has lived in the US since 1992 and later moved to the UK in 2004. The greatest gratification for Saleh is when he meets the people Drishtipat helped. "I always get blown away seeing that what we did in our spare time actually changed their lives forever", he says, "They don't look at expatriates as people who don't walk the walk and just do the talk. They see us as doers."